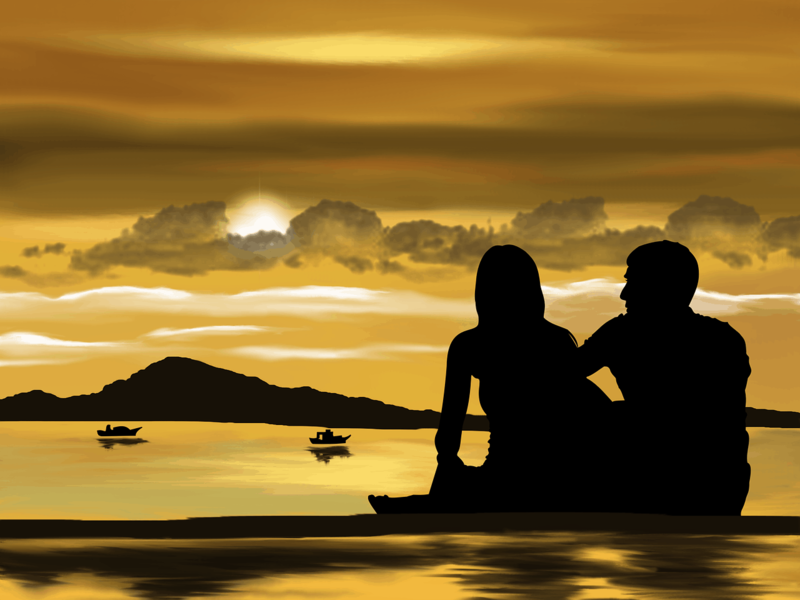 Compatibility is a natural alliance of lifestyle choices and values between two people. When you’re dating someone you’re not compatible with, most of the time it’s very evident that there is not a match. For some people, it might be harder to realize this, especially nowadays with so many online distractions, dating apps and more. This is why I recommend using a love compatibility tool like Love Digits as a great way to Explore, Test and Compare your date or partner’s compatibility as you go. This App makes life easier, especially because we love to have everything handy on our phone or tablets. The carefully formulated algorithm makes the app the first love compatibility tool in the market to combine Vedic astrology, Vedic numerology—a subcategory of Vedic astrology—and Chinese astrology into a single platform. The app brings ancient astrology to the modern dating scene, allowing singles and couples alike to quantify their compatibility using a five-star rating system. By entering their birth date, time, and place, two people can instantaneously test their compatibility for love and marriage across seven different Vedic and Chinese astrology measures. 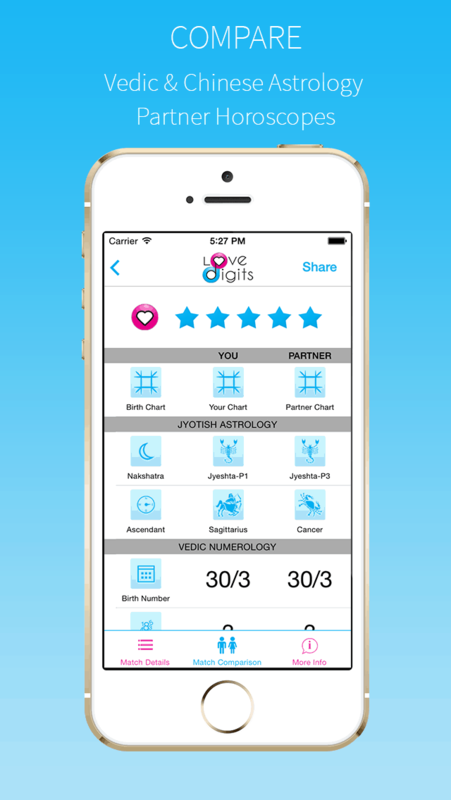 The app uses the five-star rating system to generate a weighted average of the seven measures, using an algorithm developed by internationally renowned Vedic Astrologer, Prasannan (http://www.prasannanjyotish.com/about/). Prasannan’s vast experience includes over 20 years of astrology consultations to over 50,000 clients worldwide. A trusted advisor for life and love, Prasannan has earned his global reputation both through his cumulative years of experience and his ability to provide insightful and truthful astrological readings. The app has a detailed breakdown of compatibility score and it reveals a side-by-side comparison of your Vedic birth chart and horoscope reading with your partner’s. Love Digits also compares personality traits to gain insight into your compatibility across the 7 Vedic and Chinese astrological measures. Love Digits (Android Version) from Love Digits on Vimeo. Download the app on the links below! It is very easy to download on your phone or tablet. Have you ever used a Love Compatibility Tool? Did you know about Love Digits? Share with us your experience below. Poems that Feed your Wanderlust!